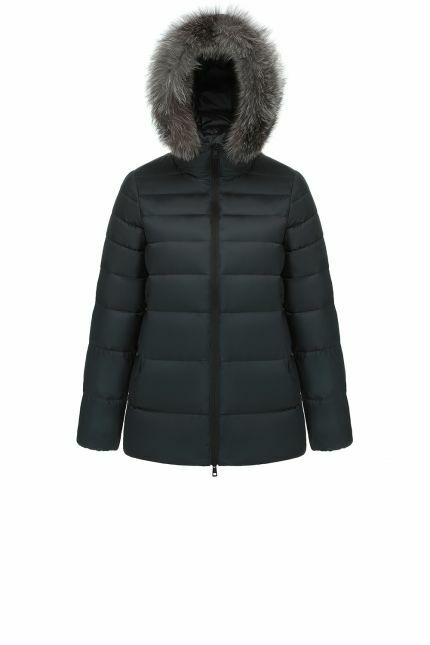 Hetregó Noemi grey down jacket is an elegant form fitting jacket that shapes your body and accentuates your silhouette. 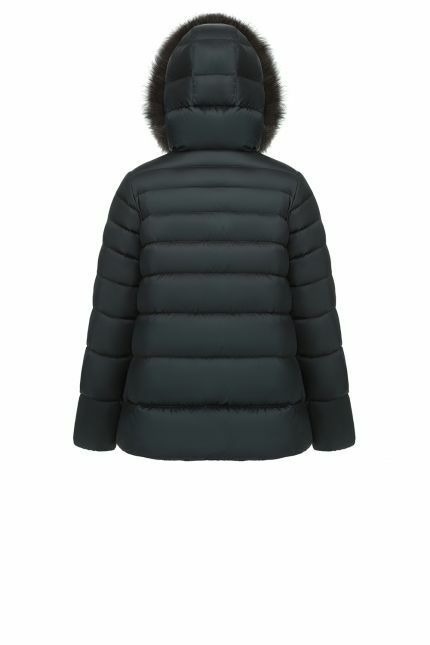 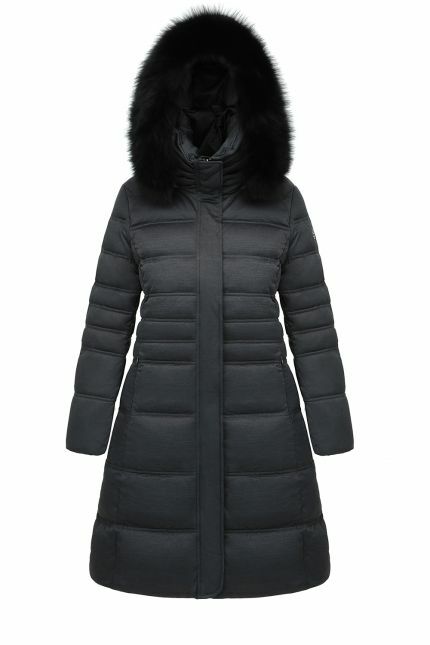 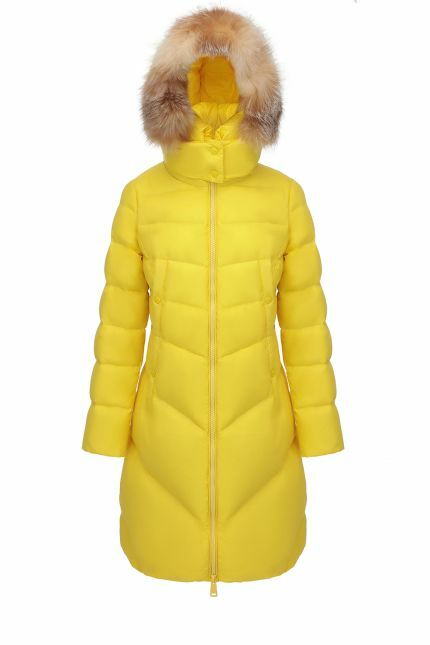 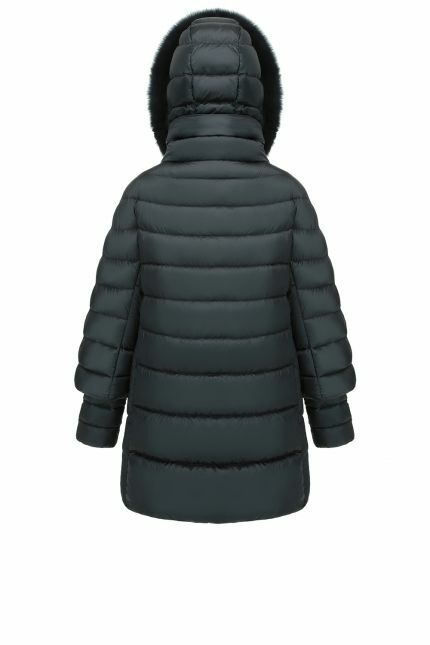 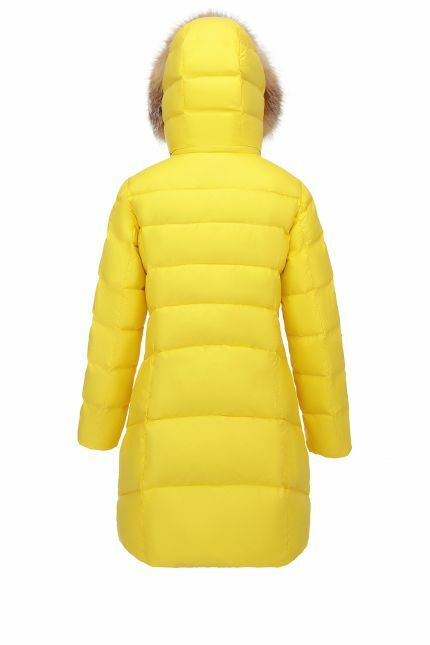 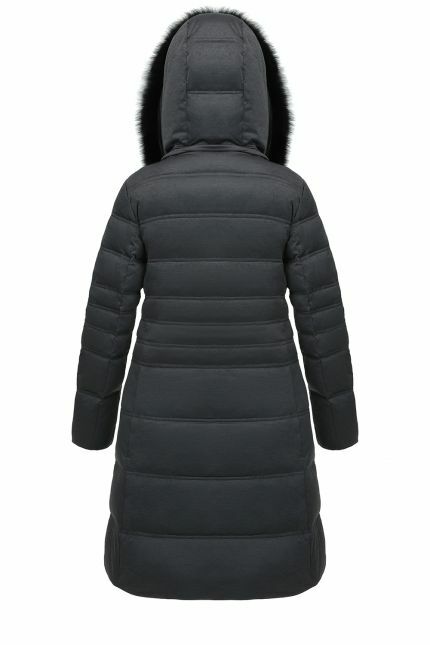 This coat has a central two-way zipper and a fixed hood detailed with detachable natural fox trim hood. Snap the front closure for protection from wind while keeping your body heat insulated and wear the fixed hood if it starts raining. 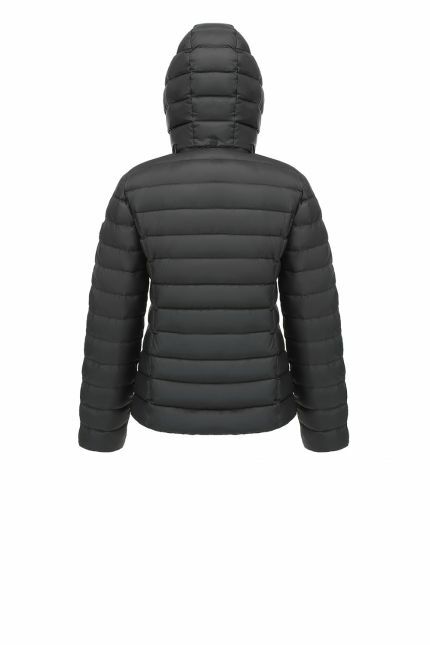 The huge front pockets with snap closure are perfect to keep everything at hand and create a refined geometry with proportions. 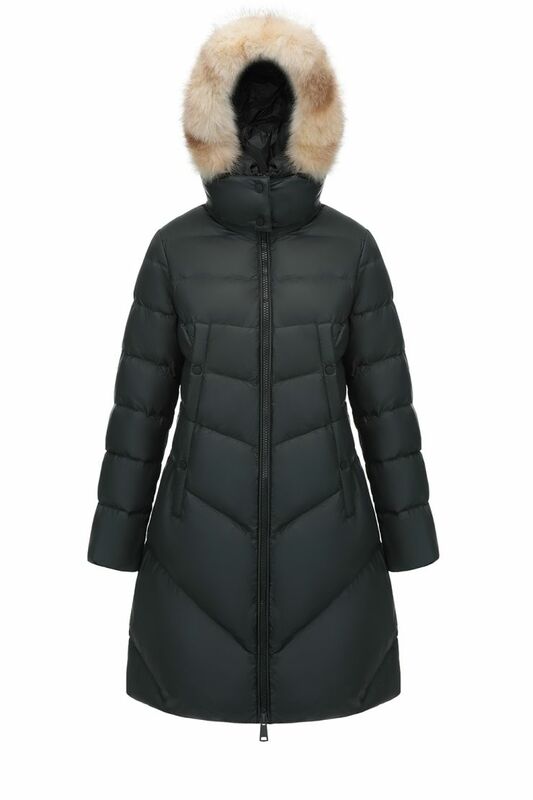 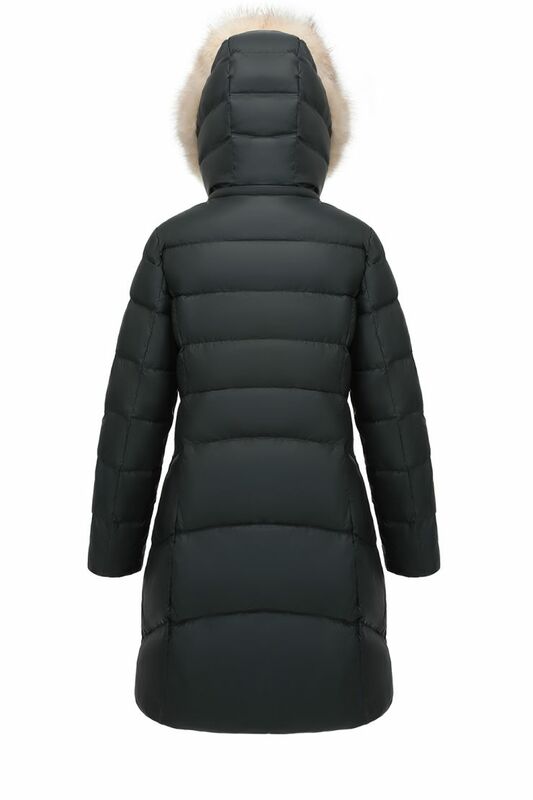 This long down coat is padded in goose down to remain shielded from the cold while the style accentuates your feminine figure.